Ronald Keith Robinson, 67, of 5418 Hampton Road, formerly of Penny Tew Mill Road, Roseboro, passed away Thursday, September 6, 2018 at his home. A funeral service will be held at 3 PM, Monday September 10, 2018 at Shiloh Pentecostal Holiness Church, Autry Mill Road in Godwin, NC, with Preacher Eddie Smith, Preacher Mark Fields and Rev. Hubbard Lowery officiating. Interment will follow in the church cemetery. Ronald, born in 1951 in Sampson County, was the son of the late Roger Robinson and Ethel Eunice Emanuel Robinson. 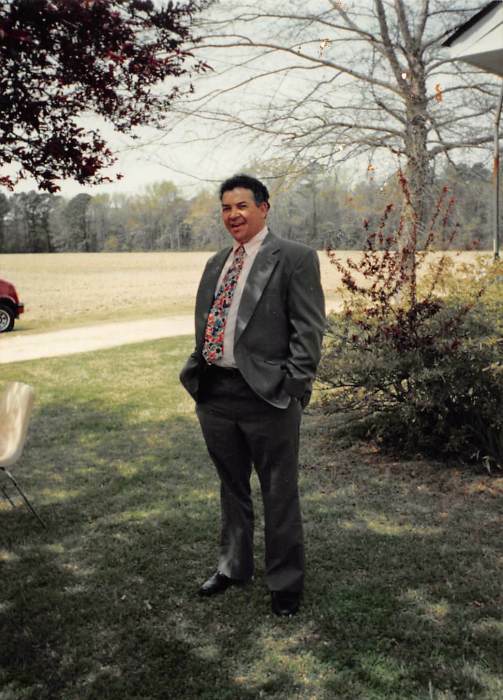 He was a retired hog farmer, and a member and former deacon of Shiloh Pentecostal Holiness Church. Survivors include; wife, Opal Bryant Robinson; daughters, Alicia Sandlin (Weylin) of Fayetteville, Aerial Goodman (Hobie) of Faison; son, Isaiah Robinson of Clinton; siblings, Donald Robinson, R. L. Robinson, Becky Brown, Reba Dore, Hal Robinson and Pamela Norris; grandchildren, Greylin Sandlin, Ayden Sandlin, Krislyn Bryant and Axl Goodman. The family will receive friends from 6 PM to 8 PM, Sunday, September 9, 2018 at Crumpler-Honeycutt Funeral Home.